A very scientific method was used to select Gareth as the winner – someone who had a Facebook profile picture of them holding a fish. A lot of people joined the Facebook group after the link was posted on the Money Saving Expert forum and I wanted to make sure the prize went to someone who was into fishing rather than someone who just enters random competitions. 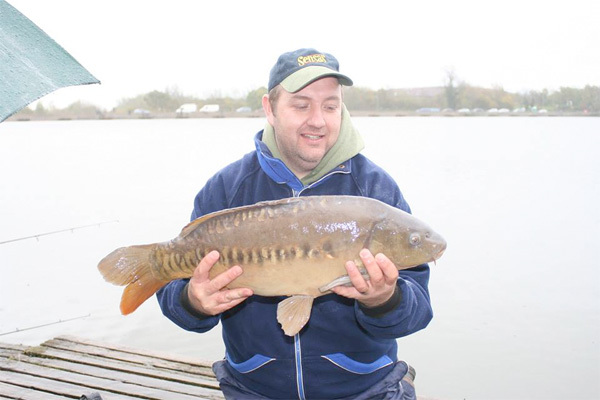 Gareth looks like he enjoys his fishing… if that picture from Drayton Reservoir is anything to go by! This entry was posted in Competitions by info@looksfishy.co.uk. Bookmark the permalink.